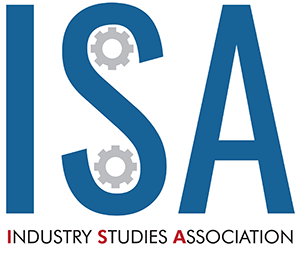 Membership in the Industry Studies Association is open to academics from every discipline, researchers in government agencies and non-profit organization, and other persons who are supportive of the Association's mission. Student members are also welcome. Currently, dues are $200 for Supporting Member, $110 for Member, and $55 for Student Members.